Baking soda has long been used as a multi-purpose cleaning agent. It’s especially popular when used to deodorize carpet stains and smells. Scientifically known as sodium bicarbonate, baking soda’s primary function is its neutralization of pH. This helps keep things from becoming overly alkaline or overly acidic. In baking, it reacts to the acidic components in batters by releasing carbon dioxide. This helps to expand the batters and give them the grainy texture we associate with pancakes, cakes, and other baked foods. 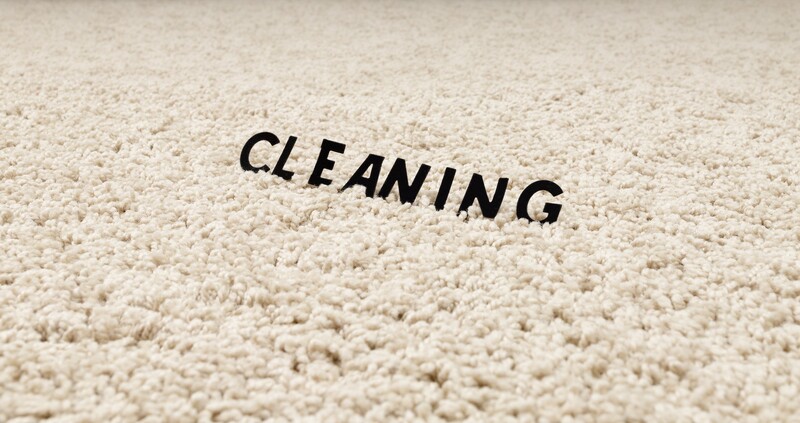 In cleaning, it absorbs these acidic components that linger in your carpet after a spill. It’s these components that are responsible for the odors that will continue to lurk around your carpet if they go untreated. The first step to deodorize carpet smells is to clean off whatever debris remains in the carpet from the initial spill or mess. This can be accomplished in a number of ways, depending on the substance that spilled on the carpet. Once that is accomplished, simply sprinkle the infected area with baking soda. Allow this to sit for a few hours. Then vacuum the baking soda up and your carpets should be odor-free. While the most simple, this isn’t baking soda’s only deodorization use. Depending on what you mix it with and how you use it, baking soda is an effective cleaning agent for a myriad of surfaces. Bad smells in your fridge tend to linger long after the culprit has been thrown out. A good deterrent is a bag of baking soda. It absorbs the acidic odor before it has any chance to infect the entire fridge. Just leave an open container of baking soda in the fridge. The smell should be gone within 24 hours. Unfortunately, there’s not much you can do to combat the culprits of bad smells in a garbage can. Not unless you want to continually throw out your garbage bag. A simple solution is pouring around a quarter of a cup of baking soda at the bottom of your garbage bags. Do this every time you start a new one, and you won’t have to worry about the smell. One of the biggest reasons people don’t want cats is having to deal with the persistent smell of the litter box. Sprinkling baking soda underneath the box or underneath the litter itself can go long ways to making the smell more bearable. This method is also effective at masking the smells around a pet’s bed, cage, or favorite chair. Simply apply baking soda to the infected area after you vacuum. Simply run a load of baking soda through an empty dishwasher. If you do this between every six or seven uses, your dishwasher will remain squeaky clean. Pour half a cup of baking soda down your drain while the water is running. If this proves ineffective, you may need to have your garbage disposal running as well. There’s nothing quite like the smell of coffee in the morning. But the smell of weeks old coffee stuck in the crevices of your coffee maker can sometimes overstay its welcome. It can also seriously affect the quality of your daily cup of coffee. Baking soda once again can provide an easy, safe and effective solution. Simply add a teaspoon of baking soda to a full pot of water. Mix it together thoroughly. Then run the pot through your coffee maker. Follow this up with a pot of clean water to rinse and your maker should be as odor-free as the day you bought it. The same sour coffee smell can begin to affect your coffee mugs as well. The sink may get those rings of old coffee out of the mugs but the smell can be a little harder to conquer. Nothing’s too tough for baking soda, however. Mix a quarter cup of baking soda with however much warm water will fill up the mug. Pour this mixture into the mug and let it sit overnight. Wash the mug in the morning as you normally would and they should be fresh and waiting for that next cup of Joe. There are a wide variety of chemical substances which claim to help rid the odors of stale fast food from your car. Save some money and use baking soda instead. Create a solution using around a quarter of a cup of baking soda and a quart of warm water. Soak a rag and use it to clean out the interior of your vehicle. Baking soda isn’t only used to deodorize carpet. Any stray scuff and light skid marks on other floor surfaces can also be treated the same way. Mix half a cup of baking soda in your favorite mop bucket filled with warm water. Use the solution to mop any dirty floors. For the specific infected areas, use a damp sponge to gently scrub them away. Rinse your floors once you’re done and your floors will sparkle once more. Avoid the harsh tub and toilet cleaners that leave a more pungent smell than the ones they purport to clean away. Instead, create a much more simple solution of your own. Mix equal parts coarsely ground salt, liquid dish soap, and baking soda until it forms into a paste. Apply to anything dirty and porcelain, like your sinks, toilets, and tubs. Then, let the paste sit for a couple hours. Then scrub the paste away using warm water. Rinse everything once you’re done and your bathroom should be ready for guests. As you can see, baking soda’s use as a cleaning and deodorizing product is endless. However, some situations require more than just a little odor absorption. In these cases, it takes a professional to root out the problem and deodorize carpet. But in the meantime, don’t be afraid to get your carpet and anything else stinking up the house, acquainted with our good friend baking soda.